Bobbe Burke is the Student Affairs member of the Myaamia Center team. Her earliest associations with the Miami Tribe, in 1991 and 1992, were coordinating the first on-campus educational events involving Tribal officials and visitors. Shortly following that, in 1994, she was appointed Coordinator of Miami Tribe Relations and has held that position ever since. Using this position's longevity and research, she has built an ongoing chronological record of interactions, activities and events between Miami University and the Miami Tribe, beginning with their first meeting in 1972. This record provides valuable documentation representing the 40 plus year partnership that exists between Miami University and the Miami Tribe of Oklahoma. 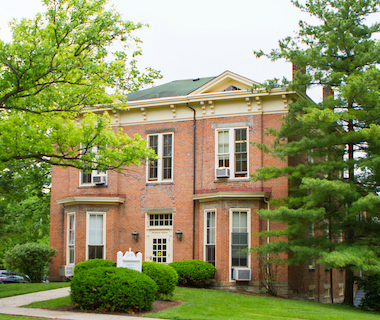 The Coordinator of Miami Tribe Relations is the major on-campus resource and support person for Miami Tribe students who attend Miami University. Early communication with potential Tribal student applicants (and family members) provides a direct link to someone who can address needs/questions about attending Miami University and also introduce them to the unique Myaamia opportunity that only exists for them at this higher education institution. After enrollment, one-on-one meetings, monitoring of grades, and providing support and encouragement through typical student development stages are designed to enhance the student's individual experience and help retain them to graduation. Additional roles are varied and include event planning and coordination, organizing and hosting visits to Oklahoma for special annual events, serving as a host for visitors who come to campus from Oklahoma, and supporting the variety of efforts that are spearheaded by the Myaamia Center. Bobbe is a Miami University graduate and has been an active participant in community organizations and initiatives in the City of Oxford. Her working knowledge of the campus and Oxford communities assists in identifying and making local connections that can produce significant partners for Myaamia Center efforts.